For this Friday’s Lovable Links, I am featuring some of the best blogs by women, 50 of them to be exact! No, I won’t be featuring Heather Armstrong's Dooce or Wendy Piersall's Sparkplugging – which are great blogs! 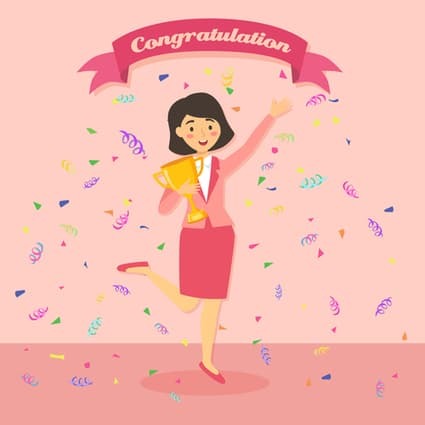 Today, I am going to feature 50 blogs from women that are just as worthy of the same level of recognition, but a little less well known – so enjoy today’s lovable links! Do you have a favorite blog that that should have been considered for the 50 Best Blogs by Women? Or do you think your blog should be added to the list? I invite you to add your favorite blog in the comment section below. .-= BlondeBlogger´s last blog .."I Feel Free" – Lady Gaga at DAR Constitution Hall in DC =-. I actually write two blogs. The first one is on my website at http://www.4abetterspace.com which provides weekly organizing tips on how to get and stay organized. My second blog appears bi-weekly on Online Organizing called “Busy Moms Can Be Organized Too” where I focus on helping busy moms get and stay organized. .-= Michele´s last blog ..General Mills nourishes the lives of families =-. I would love for you all to check out my website and blog! .-= Shop with Me Mama´s last blog ..Office Max, Peter Walsh and Back-To-School Review & Tips! =-. Thanks so much for including The Mom Entrepreneur Blog on your list. I appreciate the opportunity to be listed among the 50 Best Blogs By Women! Hi, http://www.theworkathomewoman.com – da best. Keep it going! Hey, thanks so much for the shout-out! I’m honored to be included with so many great bloggers! .-= JD at I Do Things´s last blog ..I’ve About Had It with That One Lady in My Pole Class so you don’t have to =-. I invite everyone to check out my blog: LivingMyMoMent.com. I recently started it in April of this year. I advertise for small business MoMs and blogs with our most popular option being the basic package getting you ad space for FREE. I also blog about my daily life as a mom and my latest pregnancy. I offer moms giveaways, reviews and daily tips. Please check us out and see what we may have to offer you! .-= Abbey F.´s last blog ..Sweet Baby Cakes n’ More =-.